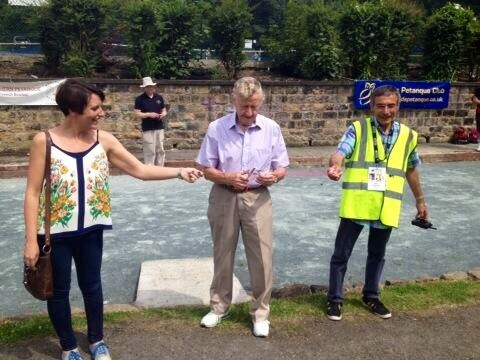 Pleased to announce Leeds Pétanque Club has some new kit in the form of six Target Training Circles (shown above). 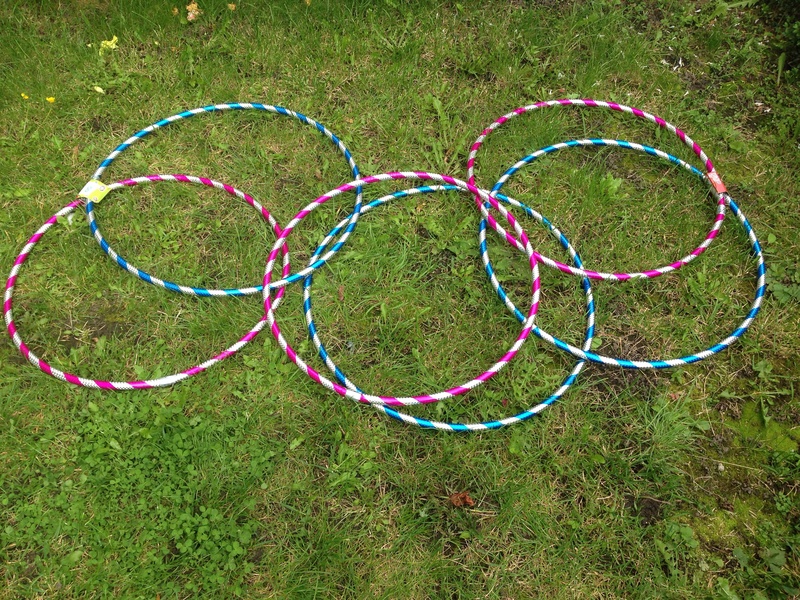 Designed in conjunction with NASA and some of the greatest minds on our planet, these hand crafted circles made of an unknown material, when trained with regularly are guaranteed to improve both the users’ pointing and shooting skills. 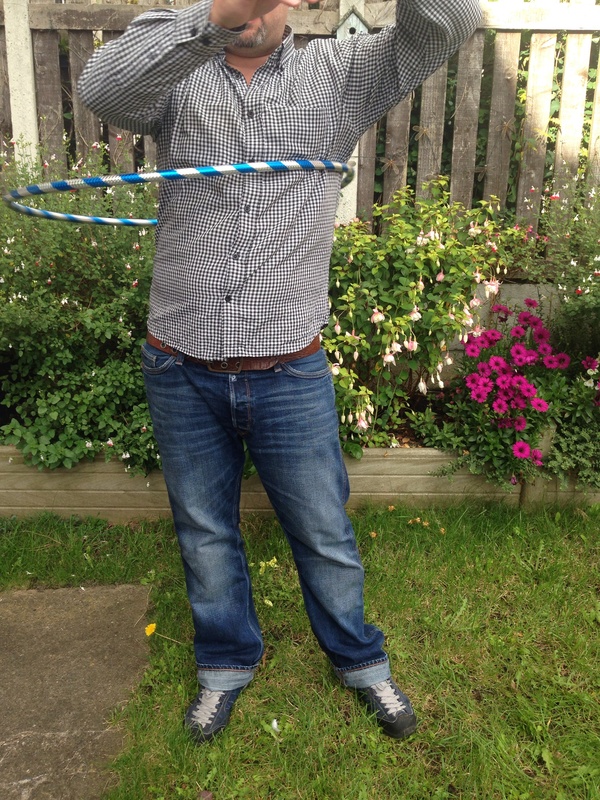 They are not, I repeat not Hula Hoops. Any one found referring to them as such or the greater crime of using them in that capacity could find themselves in trouble with the Club Secretary! See you at Kirkstall Abbey tomorrow! 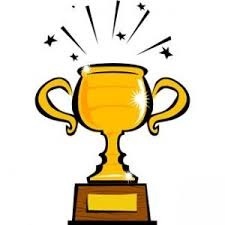 Well done to all who took part in the Singles Competition on Sunday 24th August. Congratulations to the winners and especially Gavin with a winning score of +26! In total 20 players took part, which is brill and, I understand, much skill was shown by all keeping games within very tight lines. Next year it has been suggested the club kit should include tin hats! Please don’t forget this Sunday’s away day play at Kirkstall Abbey Terrain starting at 11am followed by a visit to the local ale houses. We’re playing the newly formed Kirkstall super team and there will be some fun training exercises set up on the grass opposite the terrain. Should be a fun day out for all. 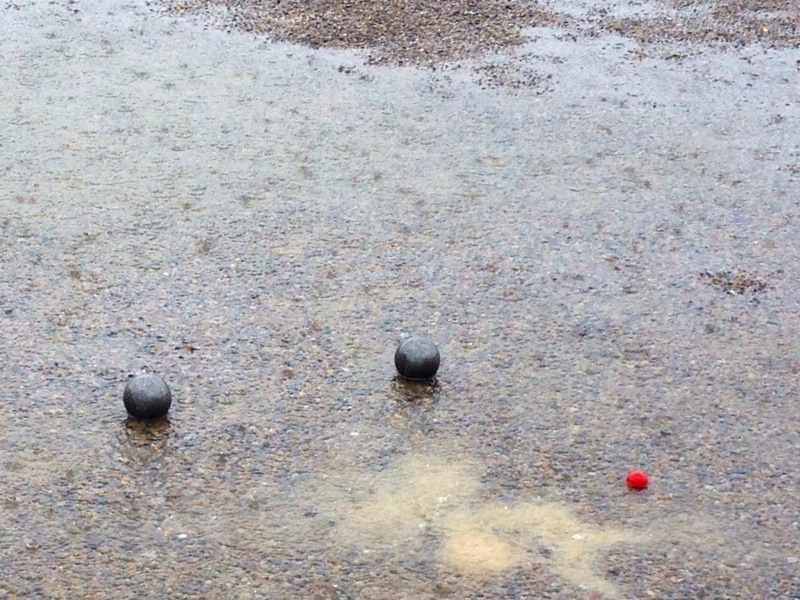 Last thing – if you have any spare balls, please bring them along on Sunday for the Kirkstall away day. Thank you in advance. Being able to shoot or having a proficient shooter on your team seems essential if you want a good chance of winning games. Making the transition from beginner to shooter feels tough. If you miss everything, you are likely to waste a shot as the ball goes out of play and if you hit, you could make things worse if not on target. Being brave and having the confidence to shoot must come with experience and practice, as I am sure you all agree. But is it really that different to pointing? Surely it is just a case of aiming at a bigger metal ball instead of aiming at a point on the terrain in front of the jack. Perhaps the extra distance to reach the ball can make it harder for some. If you’ve become a confident shooter or you are in the process of starting out please share your story and any tips to help those, like me, who would like to give it a go. More players who can point as well as shoot at the club will only add to the fun! 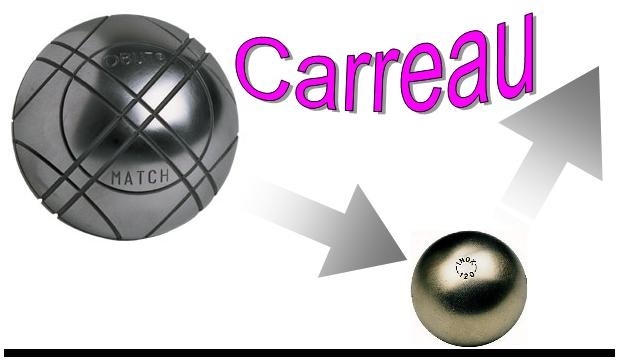 Do you remember your first carreau? Was it a match winner or saver? Reply and tell us all about it. 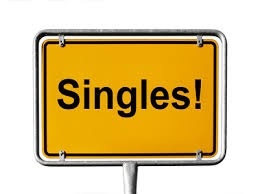 On Sunday 24th August there’s the club singles tournament starting at 11am. Due to the success of last years’ tournament each player will again be allocated a handicap (as in golf) which they keep throughout the event. So if you are a newcomer and you find yourself playing the Club Captain you start on 6-0 and it’s still first to 13. A list of last years’ handicap allocations had been kept and any modifications and additions can be made on the day. There will be a 3 round snake where your scores are recorded and the top two will play off in a final to determine the winner. Being as singles matches are often short there’ll be space to play other games alongside or after this event. Will you be this years’ Singles champion? 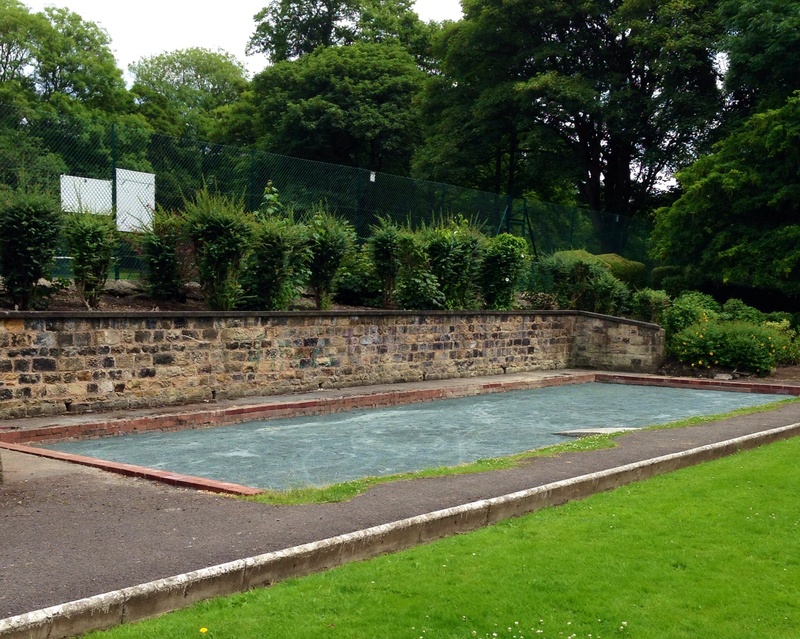 Kirkstall Abbey Terrain – Play Away Day Sunday 31st August 2014. Following all the hard work that went into constructing the Kirkstall terrain it seems fitting to hold an away day this summer to give it a good outing. On Sunday 31st August at the usual club start time (11am) we would like to transfer the games to the Kirkstall Terrain. We hope everyone can join us. The Terrain is opposite the main entrance to the abbey building right over by the tennis courts and in front of the old crown green bowling lawn. There is a large free car park over the road from the abbey to the left of the Kirkstall Abbey House museum off Abbey Walk road. If any one would like a lift from Glen Road or to be shown the way to the car park, please reply to this post below, let us know and we will organise it. Following the game, we’re intending to go to the local pubs for some refreshments. Any connoisseurs of beer please note Kirkstall Bridge pub just won Leeds CAMRA pub of the year. So leave your car at home if you feel tempted. It would be great to see as many members as possible in Kirkstall on 31st but the terrain is quite small so we’ll need to rotate around games. Please let us know if you are coming. Will distribute some posters at the club for those not on email. 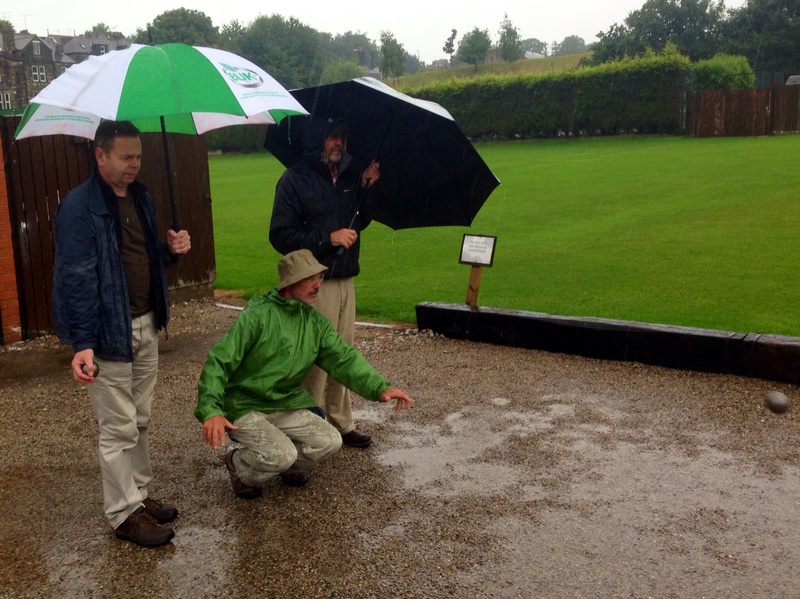 It takes more than a spot of rain to stop Leeds Pétanque Club playing! Let us all hope for a return of the good weather and a big ‘hello’ from your new Secretary.